In Interview, most of the time Interviewer will ask you to write a program without using any API method, as Java is very rich and it always some kind of nice method to do the job, But it also important to know rich Java and open source libraries for writing production quality code. Anyway, in this question, we will see both API based and non-API based(except few) ways to count a number of occurrences of a character in String on Java. In this Java program, we will see a couple of ways to count, how many times a particular character is present in String. First, we'll see Spring framework’s StringUtils class and its static method countOccurrenceOf(String, character) which takes a String and character and returns occurrence of character into that String. After that, we will see Apache commons StringUtils class for counting occurrence of a character in String. Apache commons StringUtils provide countMatches() method which can be used to count the occurrence of one character or substring. Finally, we will see the most simple way of counting character using standard for loop and Java 5 enhanced for loop. This solution can be extended not just to finding the occurrence of character but also finding occurrences of a substring. 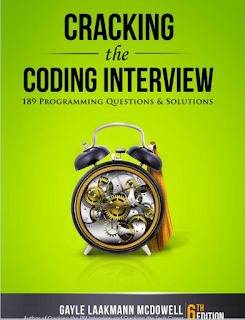 Btw, if you are solving this question as part of your Java interview preparation, you can also check Cracking the Coding Interview, a collection of 189 programming questions and solutions from various programming job interviews. Your perfect companion for developing coding sense required solving these kinds of problems on interviews. * Java program to count the number of occurrence of any character on String. String input = "Today is Monday"; //count number of "a" on this String. Well, the beauty of this questions is that Interviewer can twist it on many ways, they can ask you to write a recursive function to count occurrences of a particular character or they can even ask to count how many times each character has appeared. So if a String contains multiple characters and you need to store count of each character, consider using HashMap for storing character as key and number of occurrence as value. Though there are other ways of doing it as well but I like the HashMap way of counting character for simplicity. Collections.frequency() method might be useful in this case. Hello Vandana, time complexity of your solution is O(n) as it need to iterate through array, can you better it? Hello @Matt, can you please share the regular expression to count occurrence of any character in string, that will help better ..
ex: Hello How are you? Nice solution, what are the test cases you have thought? Can you explain the Big(O) for space and time?